SUNDAY night’s Launceston program is poised to deliver a surprise clash between Tasmania’s best pacers. With heats of the Golden Apple series being conducted, Scooterwillrev, Harjeet and Illegal Immigrant will meet in the second qualifier. The trio of rising stars are being prepared for the upcoming Christmas/New Year riches, with their pending battle a taste of what to expect in the majors. Scooterwillrev has fared best in the draw, with the talented son of Somebeachsomewhere to begin from the pole for trainer Craig Hayes. 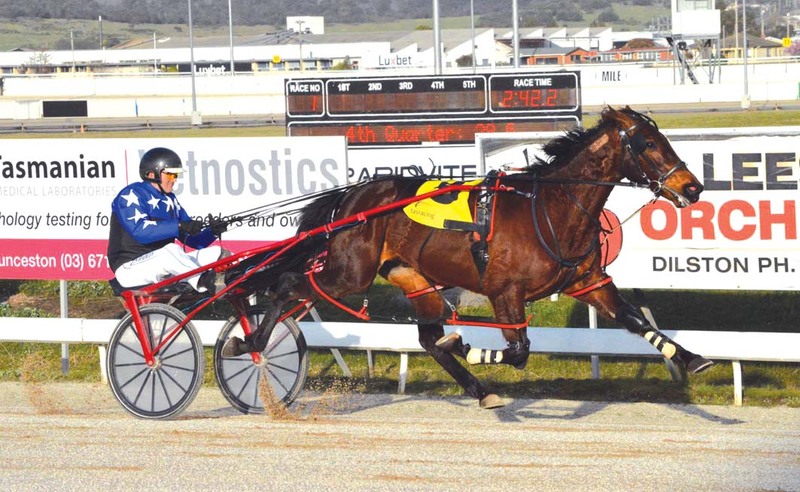 Along with his barrier advantage, the Australian Pacing Gold graduate has fitness on his rivals. Scooterwillrev has had two starts this preparation for a third and a win – both off 30-metre handicaps. Drawn the inside of the 10-metre mark, Harjeet is first-up since last June when he had no luck in Ballarat. Before his trip across Bass Strait the son of Rocknroll Hanover won his eight local starts, including the Group Two Easter Cup. Set to begin alongside Harjeet, Illegal Immigrant – winner of his last four outings – is returning from a 10-week break. “It’s definitely the tougher of the two heats,” Hayes said. “It will make for a pretty interesting race. “I’m rapt with the way Scooterwillrev has been working since his run three weeks ago and he will be close to cherry ripe for this. “Harjeet has the writing on the board and is the one to beat, while Illegal Immigrant is also a very classy type.